Stoke-on-Trent, still known today as The Potteries, is up for restoration, renewal and empowerment; but that’s actually nothing new or surprising! Although the city is known for its history as one of the great northern powerhouses that each generated so much traditional wealth during the industrial era with their own specialised industries, the story didn’t actually begin with large-scale industrialists but with small cottage industries in villages, using the local clay to make pots. It required this community collaborative enterprise in the first instance, long before the industrial capitalism that later harnessed it, to grow the villages into the six towns now constituting the city, sitting alongside their adjoining market town of Newcastle-under-Lyme, and both surrounded by the rugged Staffordshire Moorlands, and the historic county town of Stafford to the south, which altogether constitute North Staffordshire. So although the many factories, with what were as many as 2000 of the famous bottle ovens at continually at work during its height, and companies such as Burleigh, Wedgwood, Royal Doulton, Minton, Emma Bridgwater, Portmeirion, Moorcroft and Spode earning world wide acclaim, it’s probably important to keep in mind those early roots of community enterprise which by means of skill and creativity used the local clay for the benefit of all. When we see the exciting new vibrancy in the form of both smaller ceramics enterprises setting up again along with an extraordinary multitude of individuals, groups and organisations, fighting back to restore life, community and sustainable economies, we can see the energy, determination and collaborative commitment that was always there, and once able to grow again, is inevitably now doing so but now with the aim of creating healthy, sustainable, inclusive and participatory futures, this time by and for the people of this central England conurbation, lying almost equidistant between Birmingham and Manchester. It is now slowly gaining increasing traction with both social enterprises and local businesses. Counter Coin is based at Cultural Squatters community cafe (more on ‘the Squat’ in our next blog) which opened on 1 May 2018. Aditya Chakrabortty arrived to investigate and published “the shopping centre where the currency is hope” in The Guardian. More local voices to come in the lead up to the Summit! 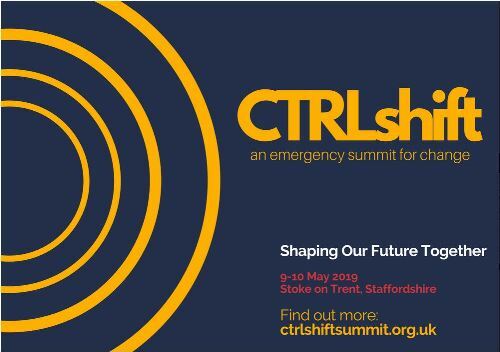 At the Ctrl Shift conference in Wigan where participants aimed to shift power over our democracy, economy and environment, from Westminster and multinational corporations, to people and communities across Britain. COBAL is a playful hybrid of Cooperative (autonomous association of persons united voluntarily to meet their common economic, social, and cultural needs and aspirations) & Cabal (a group of people united in some design, often secretively). Scale quickly – design a replicable model that could work across sectors. creation and testing of vehicles and instruments through proof of concept investments and initiatives on the Cobal platform. Current economic problems cannot be resolved within the transactional commoditised economic paradigm which created them and our focus is on legal designs and investment instruments which are complementary to conventional investment such as debt, equity and derivatives. We observe how collective investment whether public (state) or private (corporations) has led to alienation and conflicts of interests and we aim to create new relationships bringing together investors with investments using new equitable ways of sharing risk, costs, and surplus. 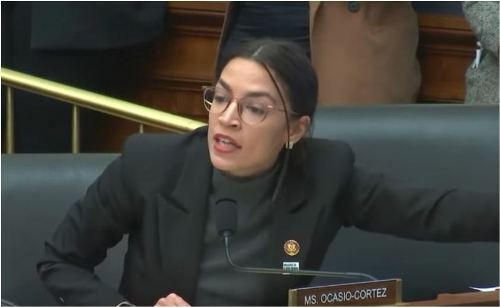 We therefore propose a new Nondominium framework agreement whereby productive assets may be held in common owned by all and by none, and value may be created, shared and exchanged equitably with no stakeholder having power of dominant control over another. While we all have other commitments we have established a committed core team who meet regularly on zoom, and this has already led to project meetings in respect of possible proofs of concept in Newcastle-under-Lyme, Newcastle-upon-Tyne and Dumfries. COBAL has also submitted an initial application to Friends Provident for grant funding to create a simple generic financial technology platform and we await hearing whether we will progress to the next stage. Meanwhile, Summer is finally here, and the Wheel of Life rolls on.